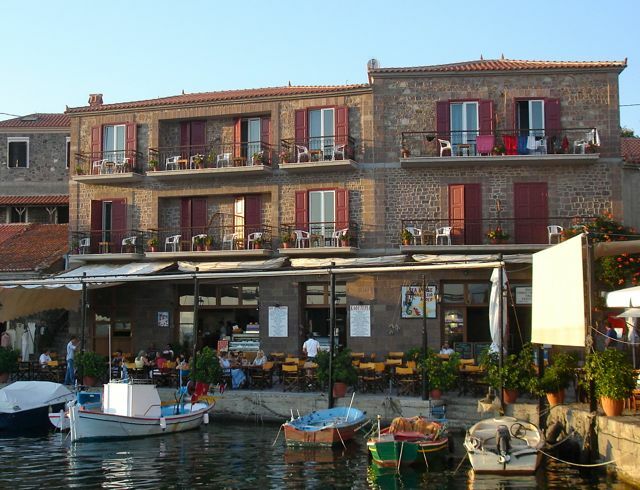 The Sea Horse is one of my favorite hotels in Lesvos, a high quality C-Catagory Hotel right in the harbor of Molyvos, overlooking the cafes and fishing boats. All rooms have a balcony overlooking the sea. 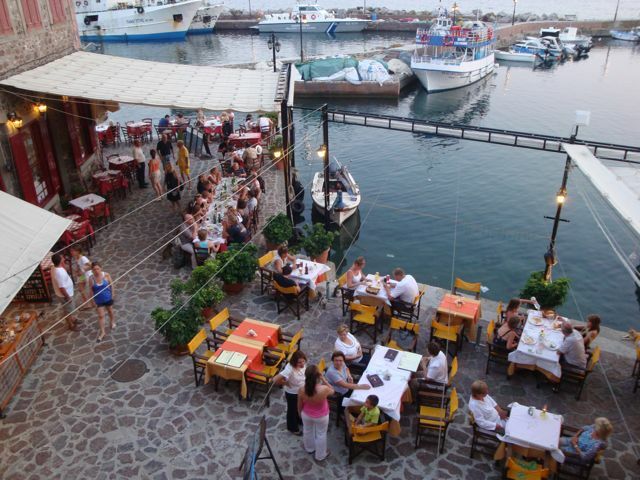 It has a bar, lounge with tv and the breakfast room is actually one of the best cafes in the harbor and serves many styles of eggs, pastries and has excellent coffees and espresso for getting the day started. 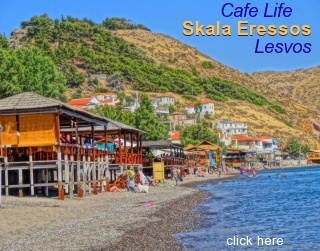 At lunch the cafe becomes a full service restaurant that serves traditional island food as well as your favorite Greek dishes and even pasta and pizza. The hotel has 27 beds and air-conditioning in each room. 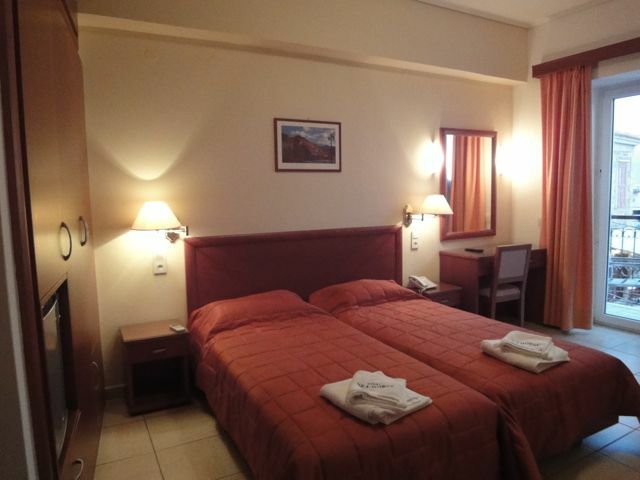 Inexpensive and centrally located the hotel is of very good quality. Newly renovated, all rooms have refrigerator, TV, air conditioning, personal phone,hair dryer and all balcony doors have double glass windows. They also have Internet connection for laptops from each room. It also has its own travel agency and arrangements can be made there for trips around the island on the excursion boat Mercury Express. The owner, Stergios Tekes, lived much of his life in Australia and speaks fluent English. His son Dimitris has taken over the day to day running of the hotel and also speaks excellent English, as does his wife who runs the travel agency next door. 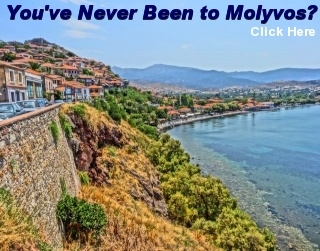 This hotel is a bargain and you can't beat the location or the view.